As Britain goes to the polls today to vote on whether to remain or leave the EU, once again one of Twitter's top trending terms is catching our attention - that's right #dogsatpollingstations is taking over. 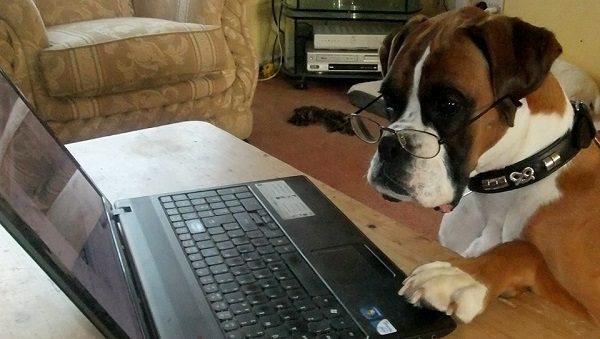 Whether you've voted already or are still considering which way to vote, like our friend pictured above, here are 7 dogs who will help ease Britain's anxiety while we await the result. This dog knows the way. This dog knows how to improvise. No arrow = use ear to show the way. These two dogs still seem undecided on which way to go so are having a last minute debate. But this older Labrador has no such worries, he's an old hand at this sort of thing. These dogs, like all of us, now wait for the result.